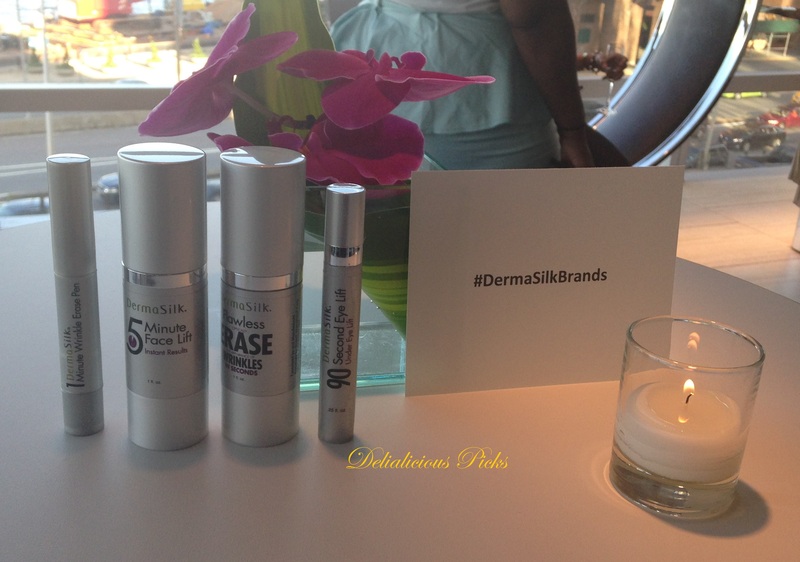 On Thursday, July 24 I attended the new product launch event for DermaSilk Brands, a beauty solution company focused on creating high-quality skincare products that works immediately, so women can look their best without having to wait for the usual 6-8 week time frame to see visible results. As we all lead busy lives, products that offer instant gratification are the ideal way to look beautiful while saving time. 5 Minute Face Lift ($40) – firms skin and diminishes fine lines within 5 minutes. 1 Minute Wrinkle Erase Pen ($20) –smoothes under eye texture, forehead lines, and fills in fine lines. 90 Second Eye Lift ($40) – erases the look of puffiness, crow’s feet, smile creases and tightens slack skin under the eyes, for a rested look that will last up to 8 hours. DermaSilk products are available for purchase at dermasilkbrands.com.